One of the best benefits of exercise is that it reduces stress. Whether you are smashing out a boxing class or going for a run, your body releases endorphins that can take away stress and anxiety, leaving you feeling calmer and happier. Especially in this busy, on-the-go lifestyle that so many of us lead, it is so important to give yourself that mental break and get active. So, here are the best stress-relieving exercises to leave you stress-free. When you think about reducing stress through exercise, most people tend to steer towards the intense, fast-paced activities. While there is definitely room for that (and we will get to them later), there is also a place for yoga. Yoga is the opposite, and it is this reason why it is a great stress-reliever. It calms your mind by helping you focus on your breathing and helps you find your serenity. It is a mind-body practice that can really help your sense of wellbeing, along with all the other physical benefits as well such as improved flexibility, posture, and strength. If you’re stressed, why not box it away? Often, we can hold in our anger and anxieties, which is very unhealthy to do. Boxing gives us a safe place to reduce our stress while letting us get in our exercise. Plus, it teaches us new skills as well. Punching that punching bag as hard as you can stimulate the production of endorphins, helping you feel better instantly. 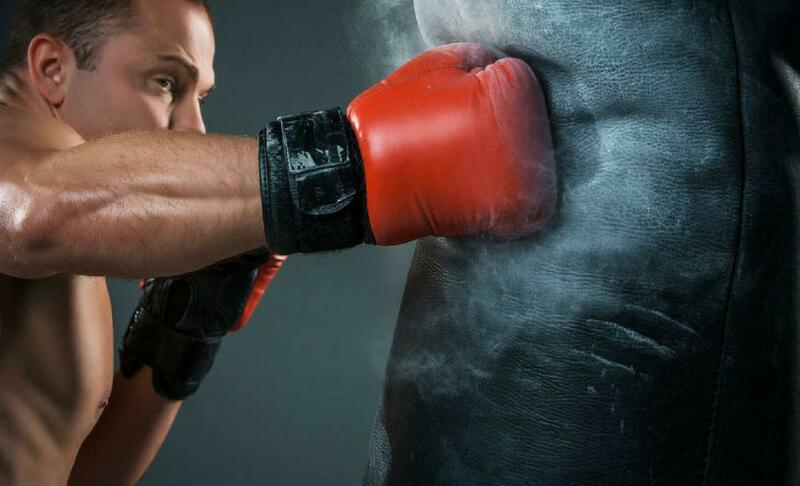 Many people like to picture the source of their stress as the punching bag, which amps up the intensity, making it one of the best stress-relieving exercises! HIIT has so many great mental health benefits, as well as physical ones. It consists of alternating between vigorous exercises with rest periods in between. Because it is shorter than the average workout class, it is very high in intensity. And once you get into your HIIT class, you’ll be too busy focusing on your exercises to even worry about whatever is stressing you out. And once the class is over, your endorphins will be running high and you will feel much better than when you started. Whatever group training exercise you enjoy, whether it is HIIT, aerobics, Zumba, it is one of the best stress-relieving exercises. This is because you will be surrounded by your friends who are also looking to get fit and healthy too. Being in a social environment and with people, you enjoy being with can really lift your mood and make you feel much better. Seated twist – You don’t even have to get up from your chair to do this one. Remain seated with your feet planted on the ground. Then twist the top half of your body to the left. Hold for 5 seconds, breathing in and out deeply before switching to the other side. This helps to relax the back muscles and elongates your spine, really helpful to clear your stress and reset your body after being seated all day. Touch your toes – Stand up with your feet shoulder-width apart. Stretch both hands all the way up to the ceiling, really feeling the stretch in your back. Then fall forward to touch your toes (or however far you can reach) in a forward fold. Then inhale and stand back up, swinging your arms above you again and repeat. This will help to calm your mind and relieve your stress. Pec stretch – You can remain seated or standing for this one. Bring your hands behind your head and clasp your fingers. Bring your elbows back as far as you can and squeeze. Hold it for a few breaths before releasing the tension and repeat. This is an easy one to do throughout the day, that loosens your pectoral muscles. Tai Chi is very gentle and meditative in practice, making it one of the best stress-relieving exercises you can do. It is based on the concept of qi (your energy flow) and works to balance both your physical and mental forces. Not only can it help tone your body and promote better balance but it reduces your stress and anxiety so you will be left with a calm and peaceful mind. There is a reason why people tend to put on their running shoes and go for a run when they are feeling restless or anxious. There is something therapeutic about running, getting into the rhythm with your steps and breathing. Whether you do it outdoors or on the treadmill, running is one of the best stress-relieving exercises you can do. 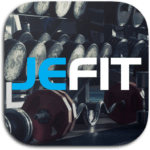 Jefit is a workout log app that comes with a customizable workout planner and scheduler. It helps you keep track of your progress so that you know you are heading in the right direction towards your fitness goals. It also comes with an extensive exercise library so you can choose what exercises suit you. Join our members-only Facebook page as well, so you can stay connected to your fellow Jefit members! led lights manufacturer is some really fascinating led pendant light manufacturer you all would love to around in your house.